With Order Desk, you can connect to any Fulfillment by Amazon (FBA) region to send your orders for fulfillment. 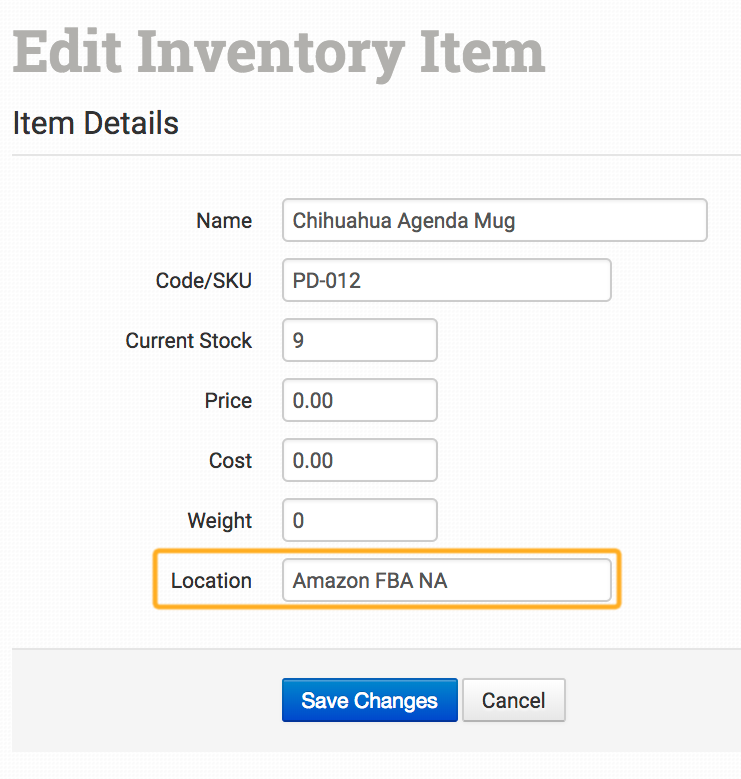 This guide covers the inventory, product, and shipping settings found in the Amazon FBA integration. If you haven't enabled the connection yet, see the FBA Setup guide for details. 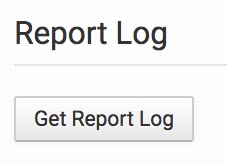 Enable this setting to have FBA send inventory reports to Order Desk. They will send back the amount of stock they have for the items recently shipped. When first enabled, inventory will not be updated in Order Desk immediately. FBA will only send updates for items they have shipped within the previous hours. If you need to update the quantity displayed at Order Desk and/or your shopping cart for any items that FBA has not recently shipped and that are not updated by downloading inventory from a longer timeframe, update the stock manually within Order Desk from your inventory items page. Choose how often you would like Order Desk to check FBA for inventory reports. 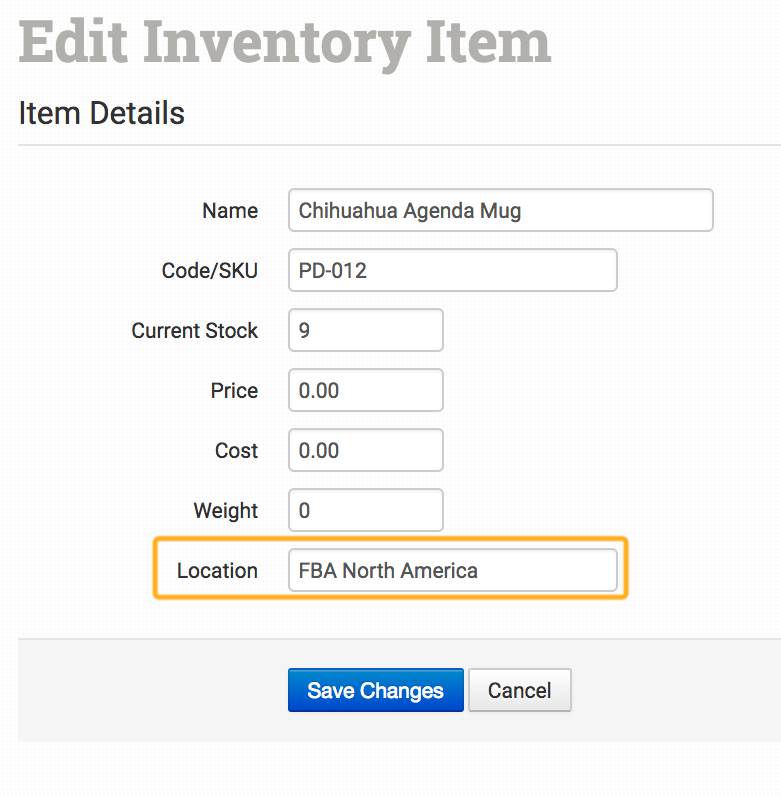 To use your own custom name as the location instead, set it in the inventory location name field in the FBA settings. Match SKUs from your shopping cart to the SKUs FBA uses with product code match. More information on how to set this up can be found in the product code match guide. To create bundles, refer to the product code match bundles section of the guide. To prevent certain SKUs from being sent to FBA, add them to the product code skip field. Any items included here will not be sent through with your orders. Add one SKU per line. If your shopping cart sends gift messages through to Order Desk, enter the name of the checkout data field where the message is stored in the gift message field to have the message sent to FBA. If the message exists on an order, it will be attached to the first product in the order sent to FBA. If you only want to send certain items to FBA, you can set the inventory location name from the item in this field. Orders with items that don't have an exact match will not be submitted to FBA. FBA will only ship your orders as Standard (3-5 Days), Expedited (2 Business Days) or Priority (1 Business Day). Using the shipping class match feature, you can match as many different shipping methods as you offer to the three methods FBA uses to ensure your customers are getting the closest shipping option to what they selected at checkout. For information on how to set up your shipping preferences, please see the shipping class match guide. To retrieve shipment information about your orders, Order Desk requests a shipping report from FBA based on the schedule you chose in your FBA integration settings. This report pulls all shipments from the previous twelve hours, with a small overlap in the time for appointments that run more often than 12 hours, in case any order shipments were missed on a previous check. When FBA sends a shipment report back to Order Desk, the shipment info will be added to the order and sent back to the original cart if your shopping cart integration is configured for it. Every shopping cart integration works a little differently. To see if your cart accepts tracking numbers from Order Desk, check your shopping cart integration settings for a Sync Tracking Numbers option. The shipment being added to the order will also trigger any other actions that you have set up with a rule for the event When Shipment is Added, such as sending out a shipment notification email to your customer. 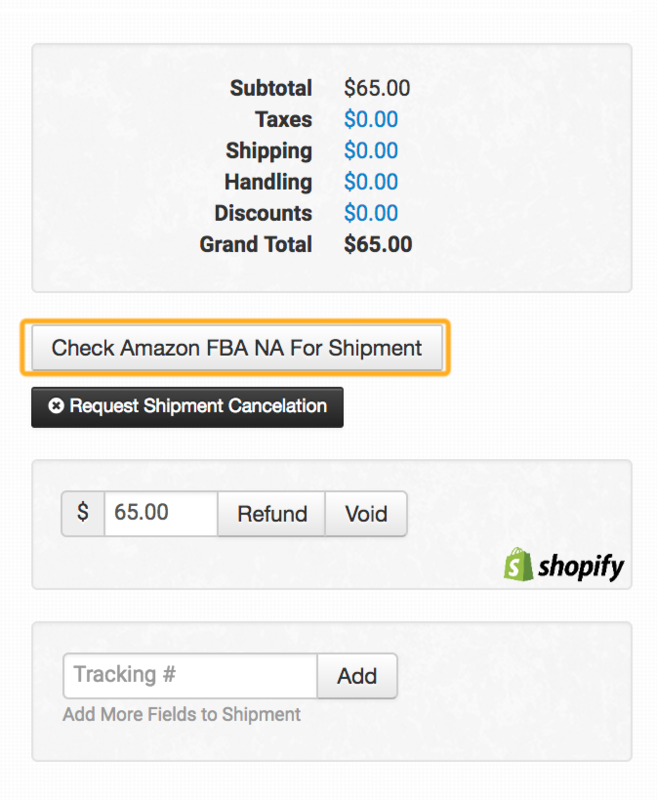 Click through to the next guide in the FBA series: Cancel Orders and Removal Requests.